the UN wants us to continually accept migrants. Hungary decides, not the UN! negotiations on sharing this burden at a global level. All major stakeholders of international politics will have to take some of the migrants to their countries as part of a global quota system. You can view a portion of Orbán’s talk below, and you can read the full transcript of his statement here. Xenophobes and racists in Europe are casting off any sense of embarrassment, like Hungary’s Viktor Orban, who earlier this month said ‘we do not want our color … to be mixed in with others. Do they not know what happens to minorities in societies where leaders seek ethnic, national or racial purity? These comments drew a severe response from Hungarian Foreign Minister Péter Szijjártó, who called for Zeid bin Ra’ad al-Hussein’s immediate resignation (al-Hussein, a Jordanian prince who has been serving as the UN’s human rights chief since 2014, has previously indicated that he does not plan to seek another term once his current mandate expires in August). 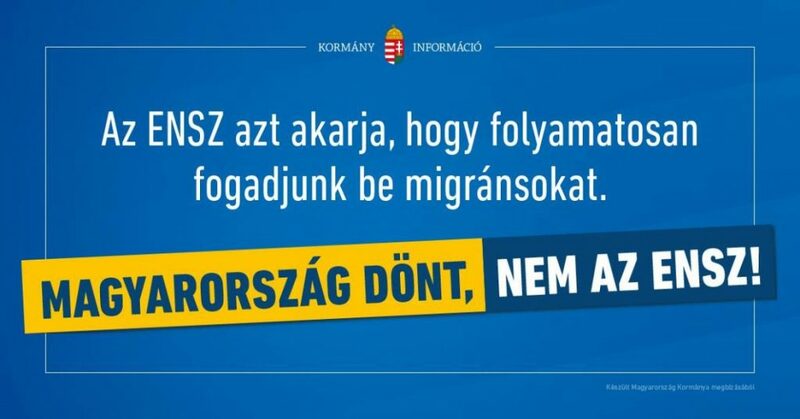 Naturally, this latest Fidesz billboard campaign has generated a great deal of debate in the Hungarian press as well, with pro-government journalists accusing the UN of ‘trying to help the Left’ in the upcoming parliamentary elections, and critics (both liberal and conservative) dismissing the campaign as an attempt to incite hatred that is “doomed to failure. 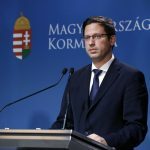 Magyar Idők’s Gergely Kiss accuses the United Nations of assisting the left-wing parties in the election campaign. 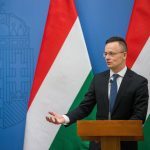 The pro-government commentator suspects that the UN wants to put pressure on Hungary, hoping that if Fidesz is defeated, a new left-wing government would adopt migrant redistribution quotas. This, Kiss thinks, would weaken Hungary’s sovereignty and change Hungary’s demographic composition for good. Kiss believes that the UN wants migrant redistribution to help Western European countries that are facing immense difficulties in handling the migrant crisis. In Magyar Nemzet, Szabolcs Szerető thinks that the government wants to make an enemy of the UN, after realizing that its anti-Soros campaign is no longer effective. After the Hódmezővásárhely fiasco, Fidesz is looking for new mobilization tools to secure its victory at the April election, Szerető believes. He goes on to accuse Fidesz of identifying not only the UN, but also the Roma as potential enemies, tools with which to mobilize its core support. Last week in Miskolc, in the context of remarks about the dangers of migration, PM Orbán said that even ‘internal migration’ by members of Hungary’s large Roma community can cause severe social tension. Szerető predicts that the Fidesz campaign targeting the UN is doomed to failure, as the UN is a distant, powerless and impersonal institution.